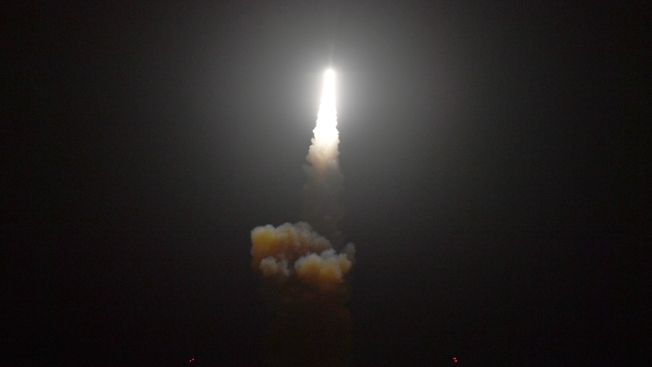 This Monday, Dec. 10, 2018 photo provided by the U.S. Missile Defense Agency (MDA) shows the launch of the U.S. military's land-based Aegis missile defense testing system, that later intercepted an intermediate range ballistic missile, from the Pacific Missile Range Facility on the island of Kauai in Hawaii. The Defense Department's internal watchdog said in a new report that cybersecurity lapses like neglecting to encrypt classified flash drives and failing to put physical locks on critical computer servers leave the United States vulnerable to deadly missile attacks, NBC News reported. The findings came in a new report made public Friday, summing up an eight-month-long investigation into the nation's ballistic missile defense system by the Pentagon's Office of Inspector General. The audit examined five of the 104 Defense Department facilities that manage ballistic missile defense systems and technical information. It's just the latest internal finding that U.S. defense infrastructure is deeply vulnerable to cyberattacks.